Maspalomas airport transfer. Carrying you and your family safely from A to B on Gran Canaria is what we are passionate about, and we take pride in providing you with the best possible service. We compare prices from Maspalomas leading airport transfer companies at over 300 different destinations. Use the search engine below to find cheap transportation from and to the airport in Gran Canaria. We offer a wide range of airport transfers at most of our destinations in Maspalomas and the rest of Gran Canaria. We make it convenient for you with quick and easy order so you can take it easy and forget about having to get in the taxi queue at the airport, train station and bus station. How about making your holiday a little more special and treat yourself and your family a bit of luxury with a private car or maxitaxi with driver? Many times it’s great to drop full buses that stop many places on the way to your destination. Or maybe you are a group that needs your own minibus. 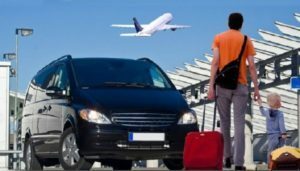 A good selection of airport transfers in Maspalomas from many different providers means that we have transport to you regardless of budget, ranging from economy to luxury class. If you need car hire in Maspalomas, its easiest to order the rental car online and pick it up when land at Gran Canaria Airport. Then you easily can return the car when traveling back to your home country, and you do not need alternative transportation to and from airport. In most cases, this is less expensive than using small local car rental supplier in Maspalomas. 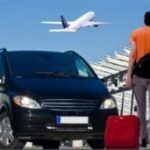 Airport transfers in Maspalomas is easy in Spain, but there are still big differences between the different transport companies. Most people order airport transfers in Maspalomas on the internet. It is easy and in most cases you get cheaper price than by booking on arrival to Gran Canaria. In addition, the selection is much larger. Use our comparison service you find above to get the most out of Maspalomas airport transfers. We compare prices from Gran Canaria’s leading companies, so you can choose which car, bus, or taxi you want. Seeking peace and quiet but still a lively nightlife, Maspalomas perfect. Maspalomas is a green oasis right above the wonderful desert area midway between the sandy beaches of Playa de Maspalomas and Playa del Inglés. Maspalomas is a relatively newly built tourist resort with wide sidewalks and low hotel buildings. The five-kilometer long sandy beach is usually well attended, but it may blow a part down here. Between Maspalomas and Playa del Inglés is a part of the beach reserved for nudists. 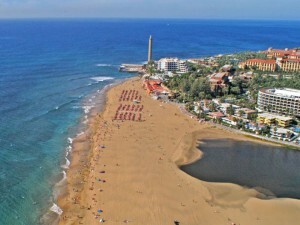 Maspalomas is a very popular destination for families. The pace is leisurely and there are many activities for kids. Here there are two water parks with slides, a funfair and the wonderful parrot park, Palmitos Park. On the beach you can ride a camel out to the cliffs. Within walking distance is also one of Gran Canaria popular golf courses with 18 holes. Southeastern part of Maspalomas consists of the well known dunes which are partially protected (nature reserve). Central and eastern parts consist of low holiday homes (bungalows), golf courses, parks and other areas that are more or less ready for development. The northwestern part comprises district Sonnenland, while the southern part is called Las Meloneras. Here are several luxury hotels, a casino and several large shopping centers. Attractions include amusement Holiday World and Aqualand Water Park. Meloneras also houses a cultural center and a kongressenteer. This entry was posted in Airport Transfer Gran Canaria, Airport Transfer Maspalomas and tagged airport transfer, bus, gran canaria, Maspalomas, maxitaxi, Spain, taxi, transport on 12th February 2018 by Vera.